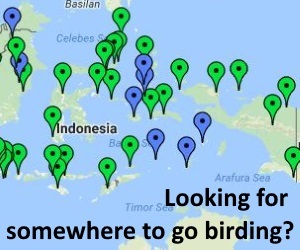 Loontour is a birdtour operator based in Yogyakarta or Jogja, Java. In this city of culture and one of the main tourist destination city in Indonesia, many places can be visited for birding. Gunung Merapi National Park, located in one of the most active volcano in the world, holds at least 150 birds. To the shoreline, Pantai Trisik is famous for the waterbirds, including waders (shorebirds). Menoreh Mountains offer a diversity of lowland avifauna that live in an agroforest habitat. 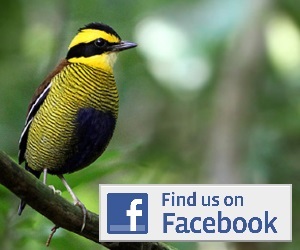 Birding in Jogja city and surrounding also offering places for satisfying your birding experience. Loontour offers birding trips and also bird photography trips from one day to customized trip of several days. We will be in Jogjarkarta first week in January 2018- would like day trips birdwatching? Have you already email to info@loontour.com? Considering a 5 day, 4 night intensive birding tour of the Jogja area. I have already birded the slopes of Marapi and the surrounding areas but I would need more local knowledge/expertise this next time. What are the best times of the year and can you give me an approximate price to cover guiding, transport and clean A/C accommodation please? Last time I stayed in the Novotel but that was before the big earthquake. Thank you.